This is a stainless steel rechargeable inspection slimline torch that weighs only 59 grams, with the battery fitted. This powerful torch will provide you with 12 lumens of light for up to 3 hours with the included rechargeable lithium polymer battery. The battery for the A9R is charged in-situ, simply by sliding the torch into the charging cap. The light will glow red while charging and will change to green once charging is complete. 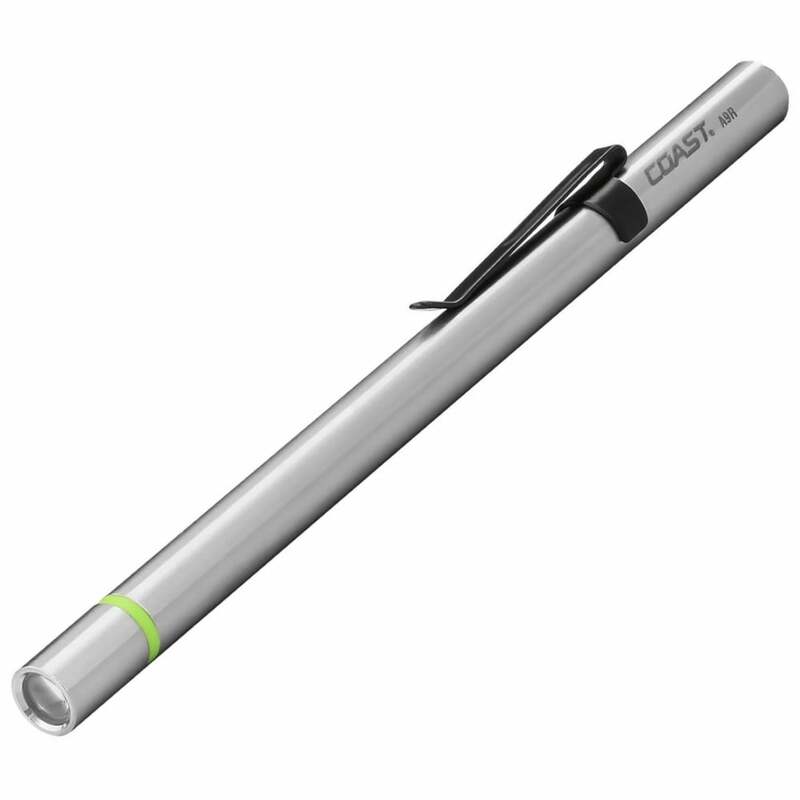 The Coast A9R comes complete with a pocket clip, battery, charger and is presented in a gift box.